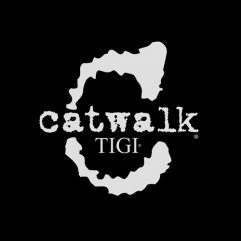 Catwalk by TIGI is a total hair and fashion collaboration designed to create the most sought after trends from the runway. Innovative and versatile products comprise the three Catwalk Look Based Collections providing the tools necessary to let your creativity run wild. Keep hair flawlessly full with the Your Highness Volume Collection, get total curl customization from the Curlesque Curl Collection and establish smooth, glossy fluid perfection with the Sleek Mystique Straight Collection. The Catwalk Collections features the dynamic Catwalk Style-Building System to ensure a flawless finish every time.